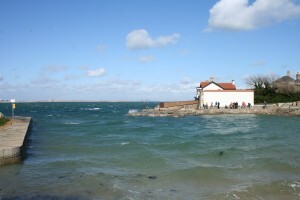 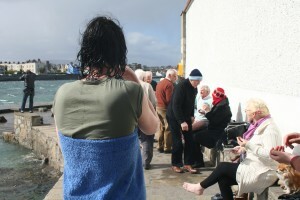 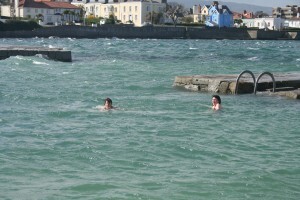 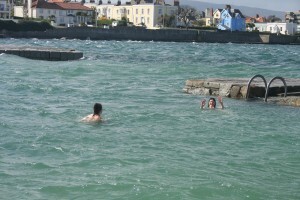 Just this very morning Aoibhen, Leticia and I returned to Sandycove to meet up with the swimmers from the Forty Foot. 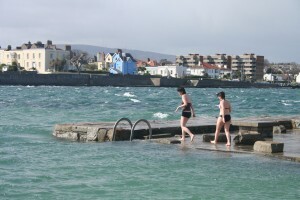 We just wanted to thank them for their participation in the Doc challenge and also Aoibheann and Leticia had promised that they would take a dip the next time they dropped over. 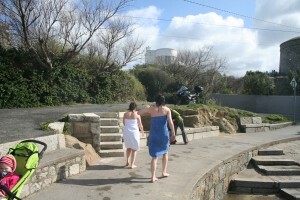 I on the other hand, having made no such promise, would only go as far as taking my gloves off to take photos of the two mermaids. 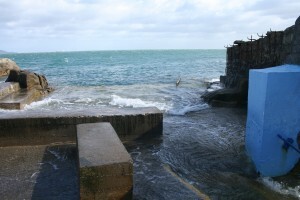 The tide was right in today, so the spot we filmed in was completely submerged. 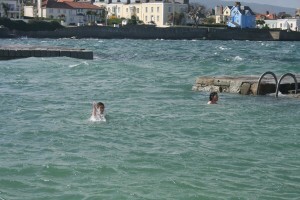 The Forty Foot project has been great fun and were keeping our fingers crossed to see how we will do in the competition. 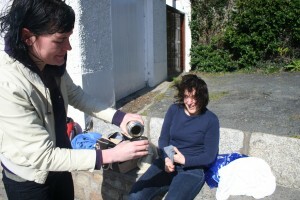 keep checking back and we’ll let you know how we get on.